If you answer “YES” do any of these questions, then we have a better option for you. Do you purchase a wide range of high quality labels with graphics from a professional printer? Do you like the look of high gloss labels? Do you need durable labels that withstand water or harsh environments? 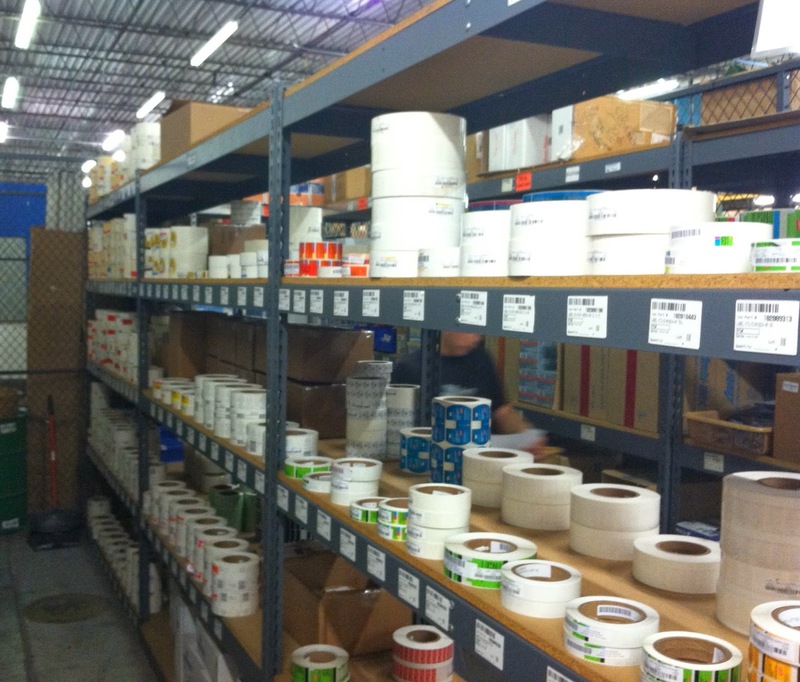 Do you have a large inventory of pre-printed, high quality labels? 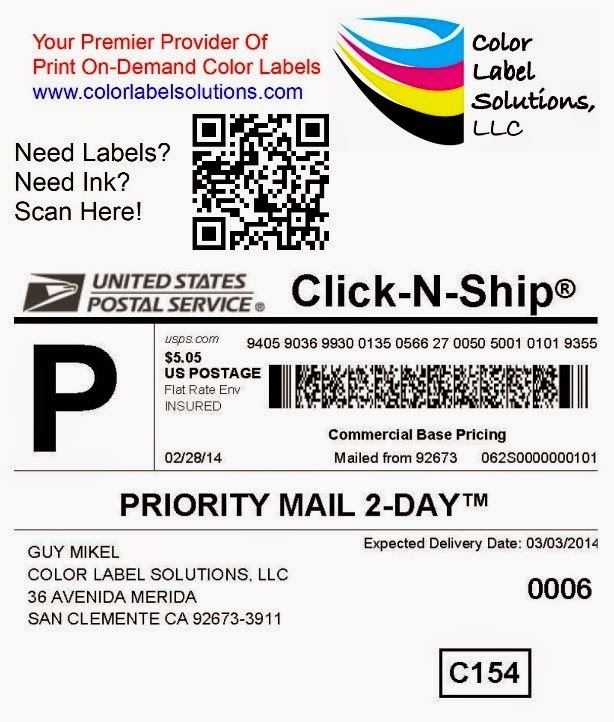 By combining these operations, you can print beautiful, durable, glossy labels when you need them. I discussed these machines in my earlier post covering WestPack: http://colorlabelsondemand.blogspot.com/2014/02/westpack-2014.html. Lowers Costs. According to Dennis Kallaher, Vice President of Sales for Trojan Color Systems, “manufacturers can reduce costs by using the TrojanOne printer along with the Rotary Wizard. With this equipment, an "in-plant" label printer can source label material more economically. This eliminates freight and packaging costs, controls converting costs, shortens and eliminates lead times and can provide savings from 30% to 50% of your finished label costs. 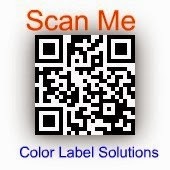 In addition, you print only what you require; eliminating obsolete label and inventory carrying costs. 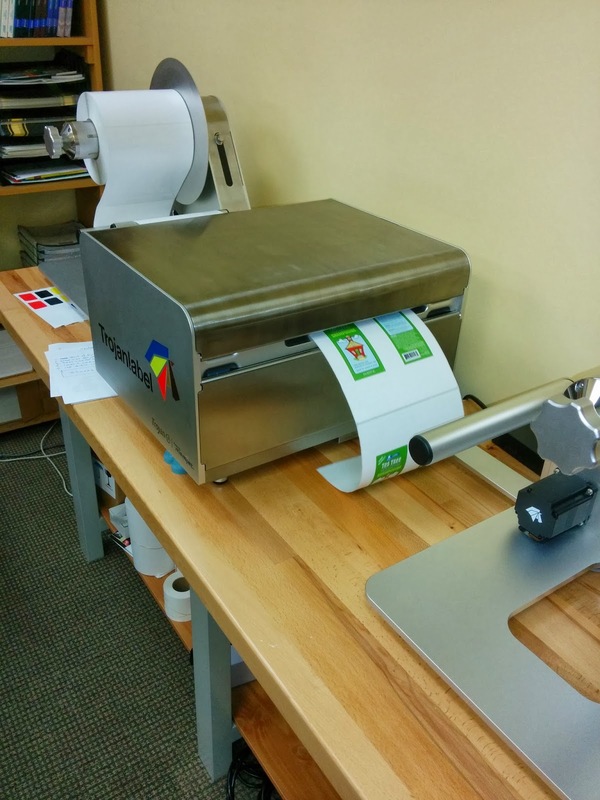 Overall, you can produce high quality, laminated labels yourself for less than from a professional pressure-sensitive label printer.” Personally, I worked on an opportunity where using this system would reduce the label costs by approximately 16%. Increases Manufacturing Flexibility. By moving to on-demand, manufacturers have the ability to change labels at any point prior to application. 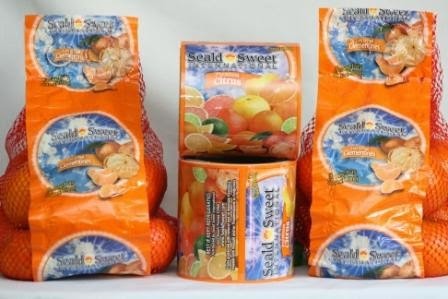 This flexibility enables companies to change label wording, produce several different brands using the same inventory, and offer OEM customized products; utilizing late-point configuration supply chain strategy. With the TrojanOne and the Rotary Wizard, you lower costs, increase manufacturing flexibility and improve processes while producing HD quality, glossy, prime labels in-plant. Contact us to discuss adding this operation to your plant. We'll print, laminate and send you samples of your labels produced using the TrojanOne printer and the Rotary Wizard. With over 1,000 products, one of my new chemical manufacturing customers needed a better way to produce labels for their products. 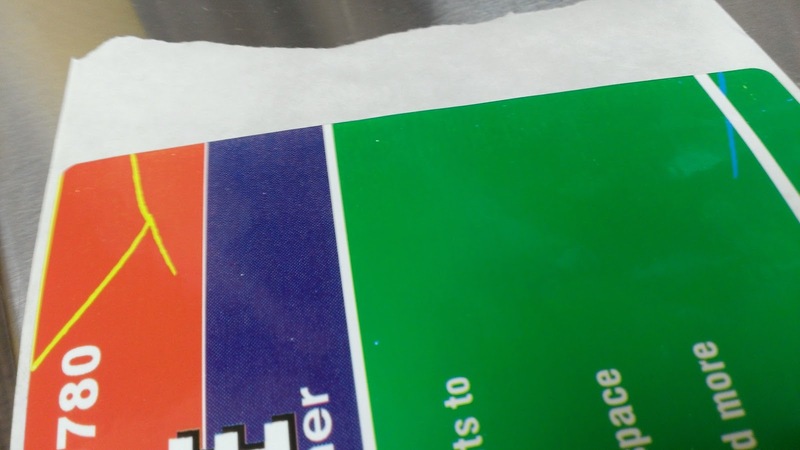 Although I can’t use the company name for competitive reasons, I wanted to share with you their experience beginning to print using the TrojanOne label printer. “Plus, our OEM customers make label changes all the time. We need a way to respond quickly to these label changes without having to negotiate the costs of obsolete labels” says the co-owner. 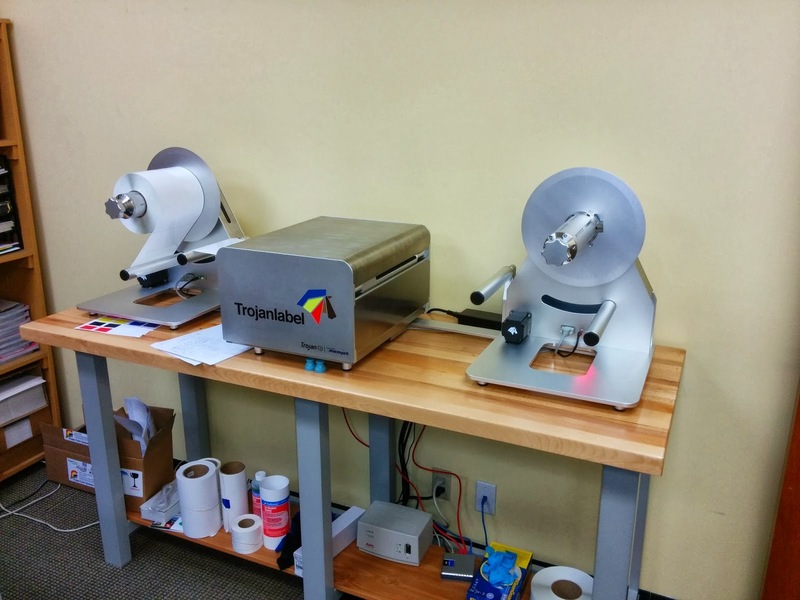 To begin printing on demand, the manufacturer began using a 4 color thermal transfer printer. 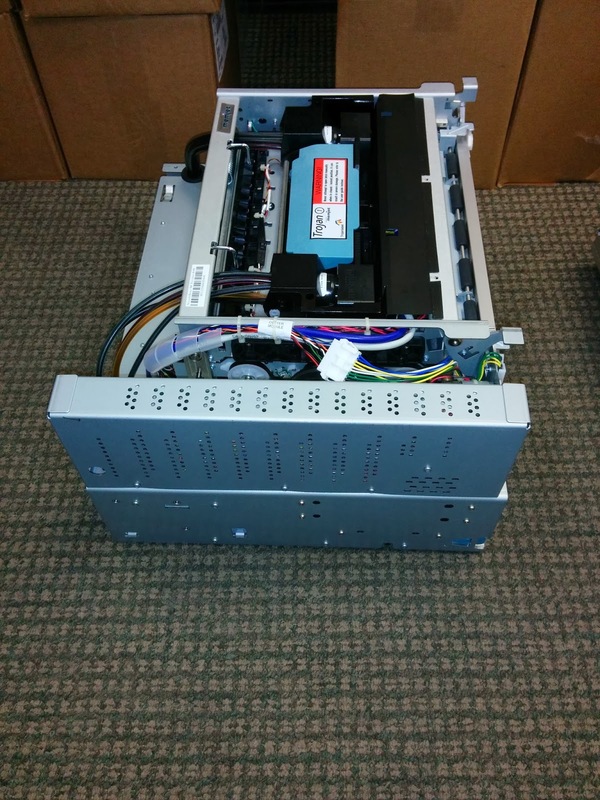 This printer enabled the manufacturer to eliminate the plate charges and inventory, but it wasn’t the perfect solution. 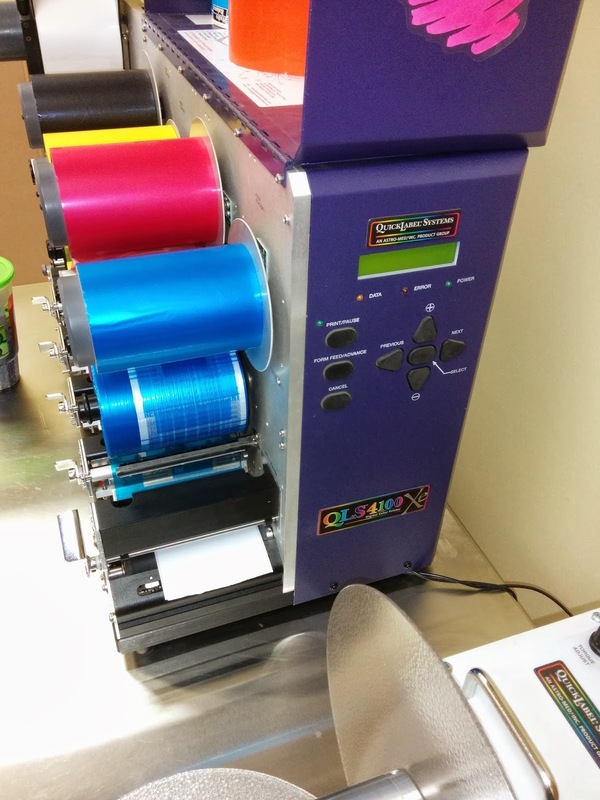 “With the 4 color thermal transfer printer, we sometimes get ribbon wrinkle which creates colored lines on our labels,” says the co-owner. “Plus, the ribbons get expensive” says the co-owner. At $161 for 1,000 meters of resin ribbon, their 10.5” labels cost anywhere from $0.04 (one color) to as much as $0.16 (assuming all 4 colors 100% coverage). And with thermal transfer, if you place one dot in the center of the label, you must use the whole width of the ribbon – mostly waste. 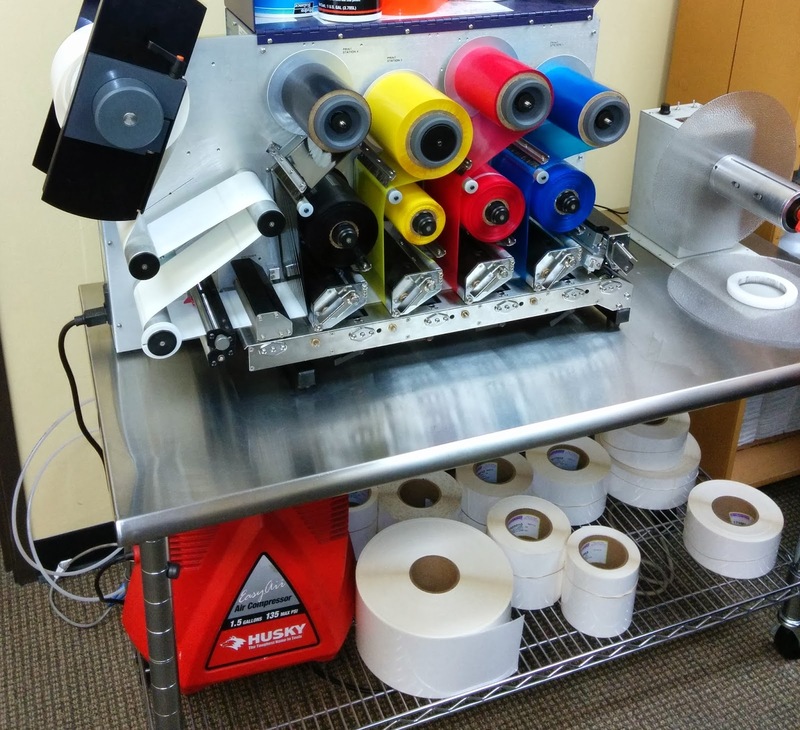 To improve the look and lower the cost of their labels, the company purchased a TrojanOne printer, Smart Unwinder, Smart Rewinder and Remote Service System from Color Label Solutions (plus a great and affordable workbench from Sam’s Club). The TrojanOne printer offers high resolution, fast speeds and low ink cost printing. With the integrated Smart Winders, you don’t have to manually adjust the settings as the printer controls the tension. Overall, you get a system to digitally print high resolution labels at a fraction of the cost of a digital press. “In addition, Trojan built the printer to make it easy to replace the print engine if service is required,” says Brian. 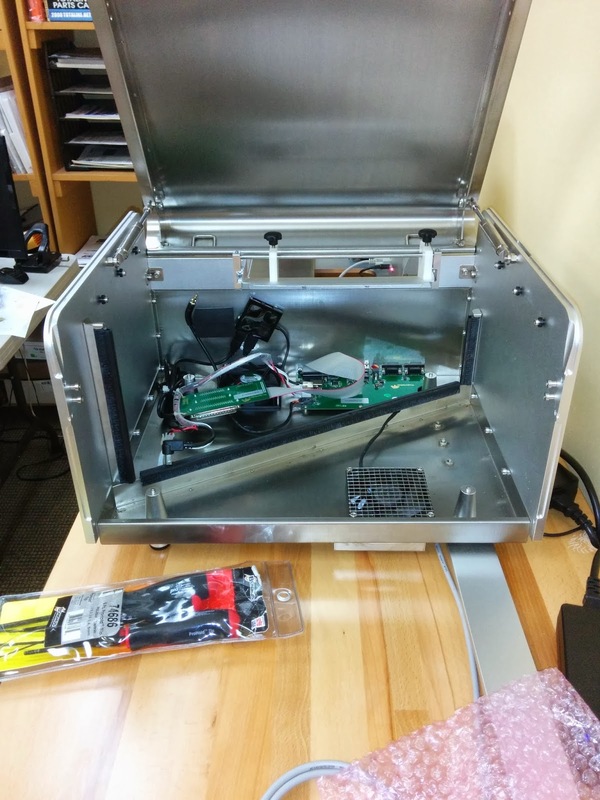 “No tools are required to remove the print engine; just a couple of connectors and latches. Other systems can require complete disassembly to remove the engine. The TrojanOne engine can be completely changed within 5 minutes for quick uptime.” I believe Trojan makes it easy to get required service; a very important criteria when deciding which label printer to purchase. As a part of the setup and install, Brian worked with my customer on-site to insure he was fully trained on the Trojan printer. “We find users who go through this training are very successful and satisfied. If end users don’t get trained, they have a more difficult time printing successfully. The system is easy to use, once shown how to use it,” says Brian. 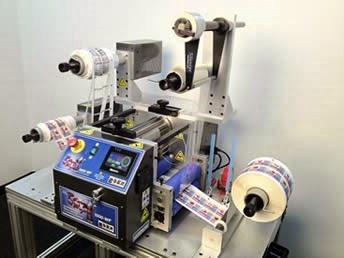 As an experience user of different label printers, the co-owner setup the printer himself, demonstrating a high level of technical expertise in the process. During the training, Brian worked with my customer on the process to match PMS colors. 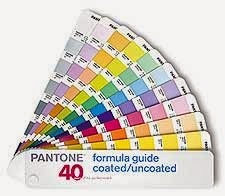 By adjusting the RGB colors in Adobe Illustrator and comparing the printouts to a color swatch, my customer was able to match seemingly perfectly PMS colors in just a couple of iterations. After completing the training with Brian, my customer was ready to put the Trojan printer into their production processes. Personally, I can add that this company was the perfect customer; experienced with on-demand printing, detailed oriented and willingness to learn and experiment. 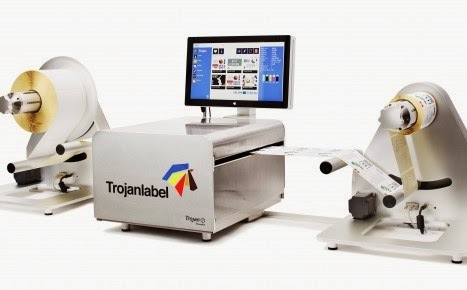 If you have lots of products; want to avoid plate charges, high purchase minimums, and potential obsolete inventory; and need high resolution print output, contact Color Label Solutions to discuss how you can put the TrojanOne label printer to work for you. It seems we all understand the roll of the online world in purchase decisions these days. But two articles I read recently underscored the roll packaging, and even more specifically QR codes on labels, play or could play in the purchase decisions made by consumers and businesses. But have you adapted your packaging and labels to reflect these changes in buying habits? I bet most companies have not. * Reorders. For example, consumables. If you sell consumable items, you can now make it easy to reorder using any smartphone. * Recommendations for accessory products. Based on the order, you can now recommend accessory items making it easy to increase sales with current customers. * Company designed Facebook, Linked In, Twitter posts or “Likes”. By designing a means to recommend products or telling friends what your customer purchased, you can increase the awareness online of your brands. * Easy to find specific technical support. Linking the label to YouTube video’s on how to setup and configure products will improve customer satisfaction and decrease support calls. 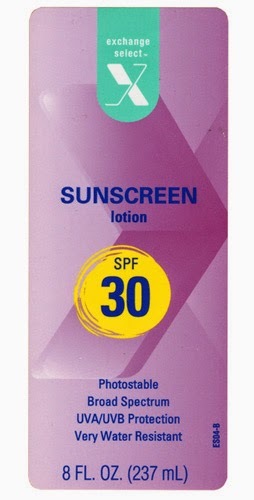 * Use directions or warning labels. 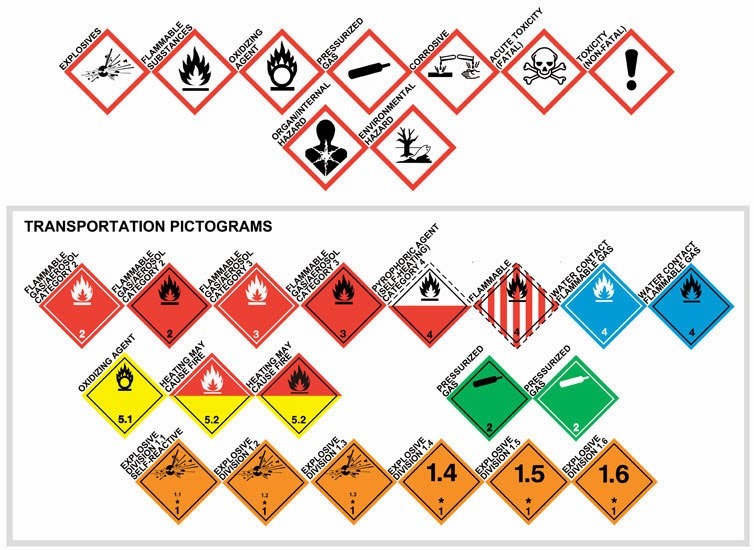 If your product requires specific warnings, you can provide this information in video form, making it easier for your customer to understand. 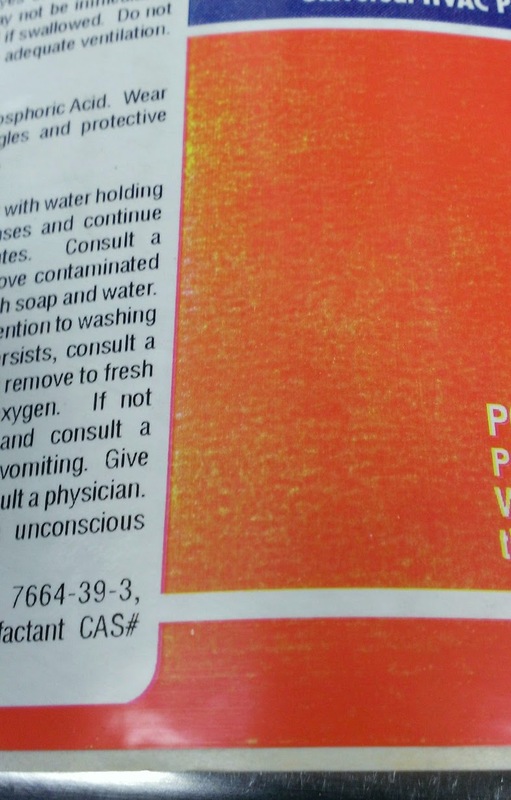 * Emergency handling instructions. You can now provide detailed information to first responders in case of accidents. If you are already adding variable data to your labels, it would seem to be relatively easy to add this type of information to your labels by the use of QR codes. With these additions, you’ll change labels from cost to revenue centers; and the focal point of connecting the online world to the physical world. If you use QR codes, you might find the second article valuable: “Proper and Improper Use of QR Codes: 10 Great Examples of Each”. Again, both of these technics would be relatively easy to do using QR codes; if you have the desire and see the opportunities that your labels can create in the online world. I hope you find these articles of interest; and stimulate ways you can use QR codes on your labels to increase your revenues and customer satisfaction. When you’re ready to turn your labels into revenue generators, contact us to discuss.